As the centenary of the founding of the RAF is marked across the country, Archive Assistant Neil Wiffen has been looking at the history of the world’s first air force in Essex. Orville and Wilbur Wright’s first powered flight of a heavier-than-air-aircraft took place on December 17 1903, just over ten years before the outbreak of the First World War. These first aircraft, despite being primitive, were soon appreciated for their potential to assist with reconnaissance over a battlefield. In Britain the Royal Flying Corps (RFC), to support the army, was established in 1912 while the Royal Naval Air Service (RNAS) was formed in July 1914. With the outbreak of war, the first deployment to support the British Expeditionary Force (BEF) in France was of three squadrons with around 60 aircraft. While supporting the BEF was of primary role of the RFC, German air attacks on Britain forced the deployment of Home Defence Squadrons in order to provide some air defence against first Zeppelin and then Gotha bomber raids. The proximity of Essex to London meant that the county was an obvious place in which to base aircraft. 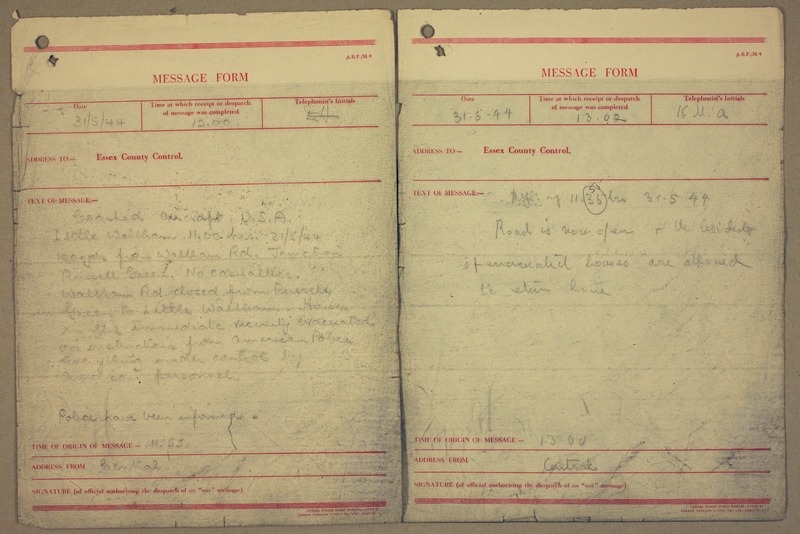 The first squadrons were operational by September 1916 with Flights of aircraft being based at Rochford, Stow Maries, Goldhanger, North Weald, Suttons Farm and Hainault Farm. The Sopwith Camel became one of the most iconic fighter aircraft of the First World War. 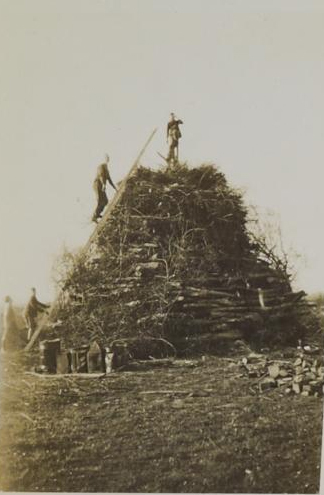 It was first used on the Western Front, but eventually was used for home defence as well. 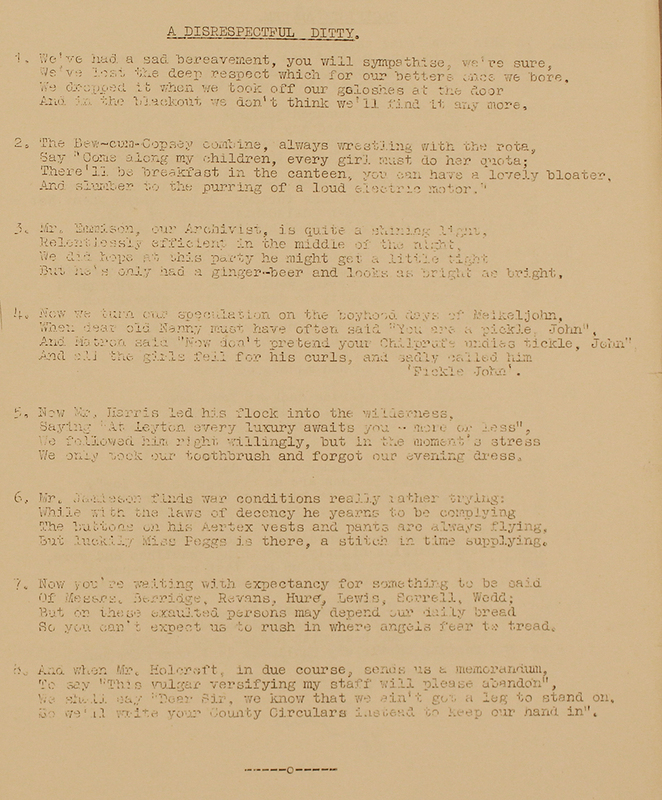 By 1917 official thinking was moving away from having two distinct services to support the army and navy and it was proposed that a single service would make more efficient use of resources. On the 1 April 1918 the RFC and RNAS were combined to form the Royal Air Force, the world’s first independent air force and with over 100,000 personnel and 4,000 aircraft, at the time the world’s largest air force, a far cry from four years earlier. After the First World War the armed services were cut back, and the RAF did not need so many landing grounds. With so few permanent buildings and infrastructure, the transition back to agriculture came quickly for most sites. During the 1930s, as Hitler’s Nazi party rose to power and rearmed Germany, the British armed forces expanded again, albeit slowly. The RAF was at the forefront of home defence. Permanent airfields, such as those at Hornchurch, North Weald and Debden were constructed, with well-built brick accommodation for the personnel stationed there as well as large, spacious hangars to help look after the larger and more powerful aircraft that had been developed. At this point, the aircraft were still mostly biplanes, such as the Hawker Hart and Fury and later the Gloster Gladiator, and were really just modernised versions of the Sopwith Camels of earlier days. These airfields were situated to defend London from German attacks across the North Sea, and they were the most prominent part of RAF Fighter Command’s integrated defensive system, which combined with anti-aircraft guns and barrage balloons, was designed to prevent the German bombers getting though. However, their biplane fighters were starting to look antiquated when compared to the new aircraft being developed by the Luftwaffe. Gloster Gauntlets belonging to 56 Squadron at North Weald in 1936. The Gauntlet was the last RAF fighter to have an open cockpit, and the penultimate biplane it employed. Image courtesy of North Weald Air Museum. Fortunately for the RAF, Sidney Cam, of Hawkers, and Reginald Mitchell, of Supermarine, were both engaged in designing the next generation of fighter aircraft, this time monoplanes powered by the Rolls Royce Merlin engine and armed with eight .303 Browning machine guns – double the firepower of the Gladiator. These fighters, the Hurricane and the Spitfire, both flew from Essex airfields during the Battle of Britain (July-October 1940) and were instrumental in defeating the Luftwaffe. Once the initial threat was dealt with, the ‘Few’ of the RAF had to be increased to take the fight to the Germans. As part of this expansion new airfields had to be hurriedly built, such as RAF Great Sampford, to take the new squadrons that were being formed and trained. 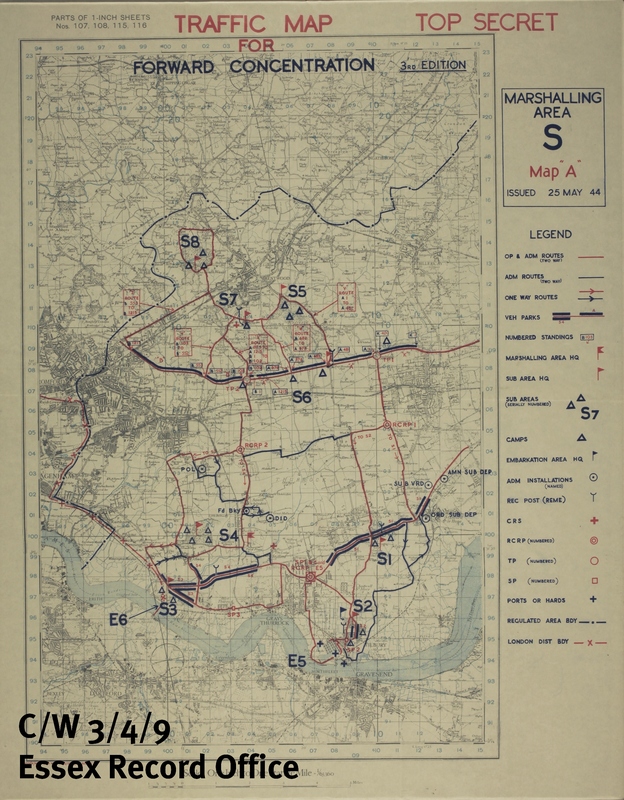 While by the end of the Second World War there were over 20 airfields in Essex, the majority of them new, most had been built for the massive expansion of the United States Army Air Force (USAAF), such as Matching and Boreham. The majority of the RAF were stationed in the midlands and the north, these being the major concentrations of RAF Bomber Command while Fighter Command fought the Luftwaffe from the east and south of the country, North Weald, and Hornchurch retaining their importance as fighter fields. RAF Bradwell joined them later on in the war, with both night fighters and the RAF’s new Hawker Tempest in the later part of 1944, helping to combat the V1 flying-bomb menace. Things were quieter at North Weald for most of 1945, but excitement returned when Group Captain Douglas Bader, after his release from Colditz Castle in April, was briefly given command of the North Weald Sector. Bader was also chosen to organise a victory flypast on Battle of Britain Day, 15 September, which was made up of some 300 fighters and bombers from both the RAF and USAAF. Bader himself led a Spitfire formation with 11 of his colleagues which took off from North Weald to lead the flypast. Douglas Bader, centre, led the victory flypast taking off in his own Spitfire from North Weald on 15 September 1945. Image courtesy of North Weald Airfield Museum. Again, at the end of hostilities the size of the RAF drastically reduced. Most of the wartime-built airfields were quickly disposed of as their Nissen hut accommodation, while suitable for emergency use during the war, were far below the standard of the permanent brick-built barracks constructed in the inter-war years. 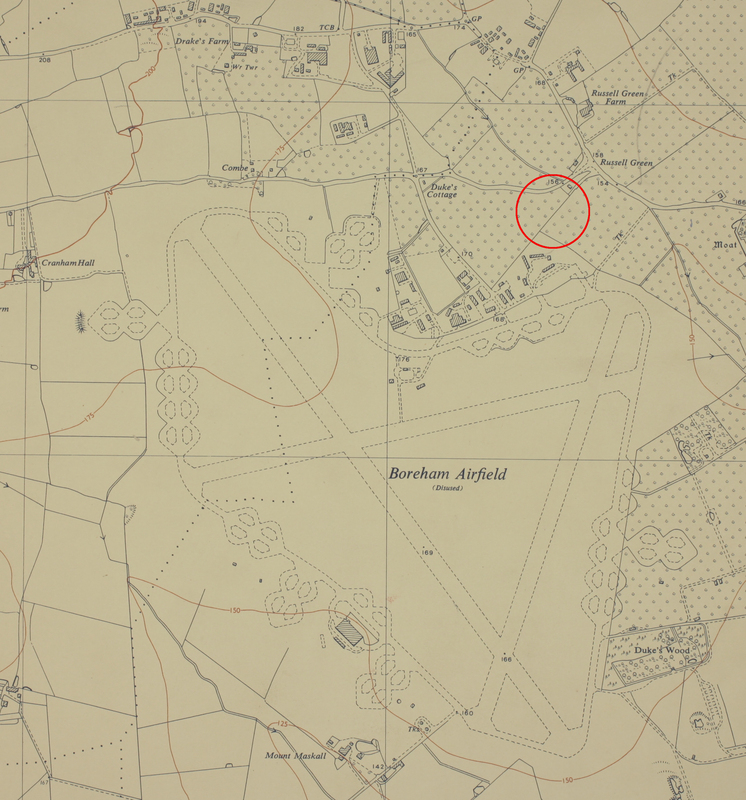 RAF Stansted Mountfitchet, opened in 1943, shown here on a 1956 Ordnance Survey map, was used by the RAF and USAAF during the war as a bomber airfield and major maintenance depot. However, just as there had been continued improvement of aircraft from biplanes to monoplanes, so now the jet engine aircraft, such as the Gloster Meteor, now took over from the piston-engined Spitfires and Tempests. Along with the new technology so new requirements for servicing and longer runways were required, something which disadvantaged airfields close to London, such as North Weald and Hornchurch. Fast jets and the suburbs did not make for very easy bedfellows. The speeds which could be achieved by new aircraft meant airfields did not have to be so close to London to defend it, and new bases were built nearer to the coasts to intercept Russian bombers over the North Sea. Most of the RAF bases in Essex closed in 1945 or in the years immediately following the end of the Second World War. RAF Hornchurch remained open until 1962, and RAF North Weald until 1964. RAF Debden is still in the ownership of the military and home to the HQ of the Essex Wing of the RAF Air Cadets and the army’s Carver Barracks. Traces of other former RAF bases have helped to shape our modern landscape; RAF Stansted Mountfitchet became London Stansted Airport, and RAF Southend is now London Southend Airport. 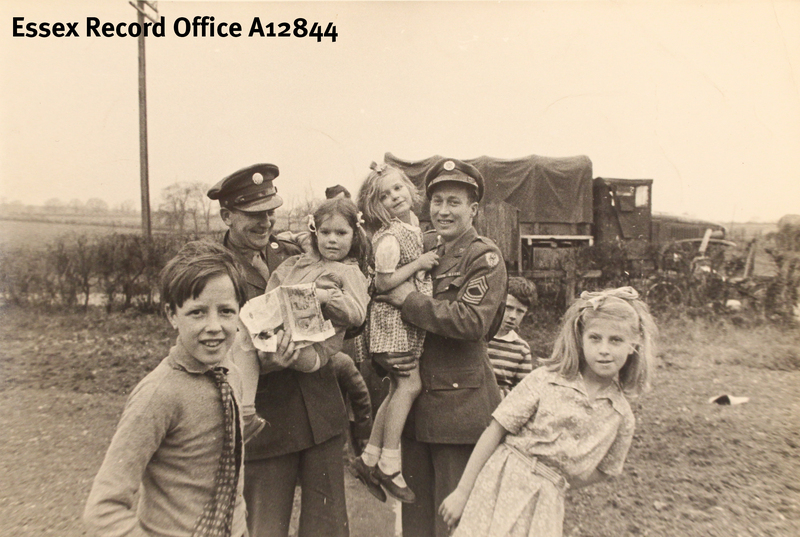 With thanks to Havering Libraries – Local Studies and North Weald Airfield Museum for supplying images for this post. 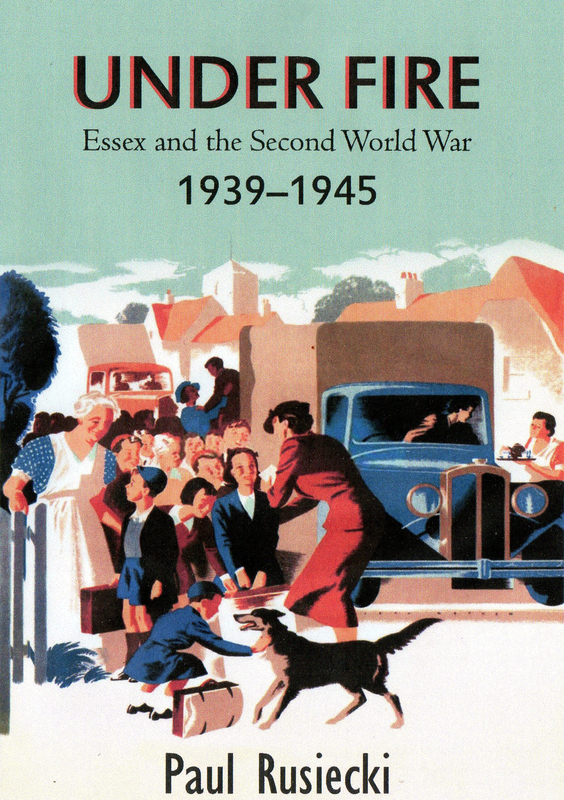 Throughout December, the ERO’s Learning from History service will be offering a special session for primary schools investigating what Christmas was like during the Second World War. Children will start with what they know. The session will begin by inviting them to suggest what they need for Christmas. As items are suggested they will be placed on a table. We will then look at these items one by one and think about whether people had them during the Second World War, using the archive at the Essex Record Office as evidence. Fairy lights will prompt a discussion about blackout restrictions and bombs dropping. Presents will lead to thoughts about shortages and include a craft activity where children create their own toys from clothes pegs. Thoughts of Christmas dinner will be compared to the realities of rationing. One by one the items that they think represent Christmas will be removed from the table. Through this process the children will understand how Christmas was different and why, and empathise with children from the Second World War. Knowing what they can’t do, they will start to ask what they can do. We will try and find out from sources at the Essex Record Office what people did to have fun and end with playing some party games. 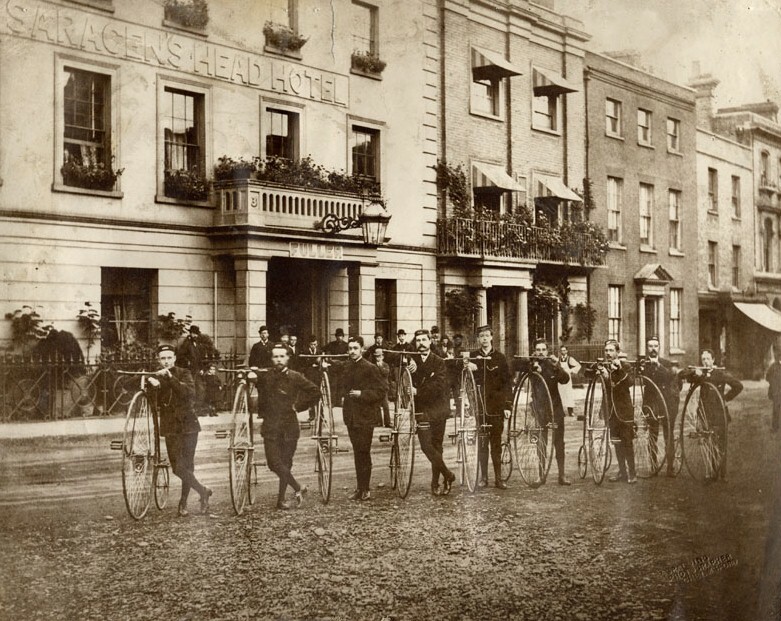 In the second in our series looking at the history of Chelmsford High Street, Ashleigh Hudson looks at the Saracen’s Head Hotel. Find out more about the project here. The Saracen’s Head was first recorded on the site of Number 3 High Street in 16th century parish registers. Remarkably the Saracen’s Head continues to occupy the same site today, having served as a popular and well frequented establishment for nearly five hundred years. Extract from the 1591 Walker map of Chelmsford. The Saracen’s Head is the third building down on the eastern side of the High Street, opposite the old Market Cross, where the market and court hearings took place. The property backs onto ‘Saracen’s Head Meade’ (D/DM P1). The Saracen’s Head grew into one of the largest inns on the high street, boasting an impressive 18 hearths according the Hearth Tax Assessment conducted in 1671. Chelmsford’s growing prosperity and increasing trade facilitated the redevelopment of the property in the early 18th century. Owner Thomas Nicholls took a second mortgage out on the Saracen’s Head, describing the property as ‘lately erected and new built’ in 1724. Development came at a price and unfortunately Nicholls was unequipped to pay it. He defaulted on the mortgage repayments and the property subsequently passed to William Taylor. Despite Nicholls’ personal financial shortcomings, the Saracen’s Head continued to prosper into the 19th century. We are fortunate to have a beautifully written will belonging to Saracen’s Head innkeeper George Lake which reveals the growing wealth of the town’s tradesmen. 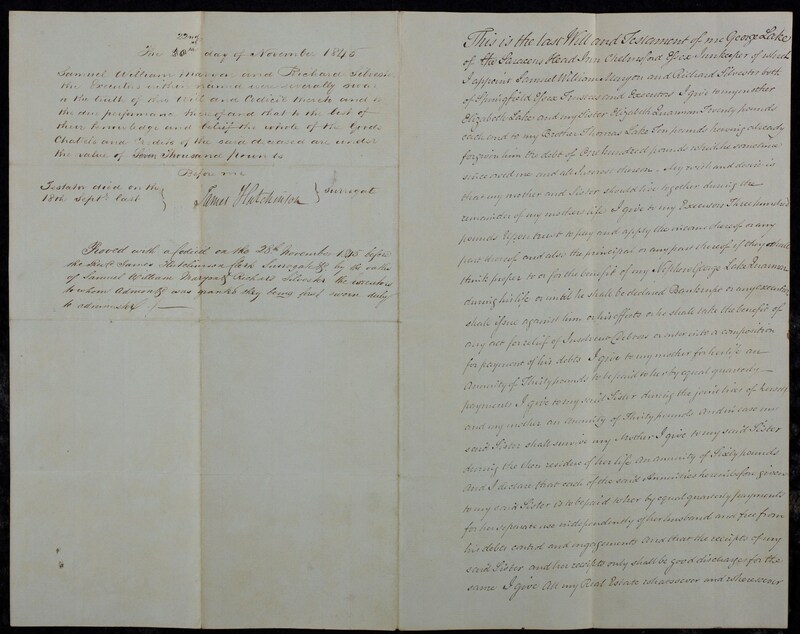 Lake was able to bequeath twenty pounds each to his mother and sister as well as an annuity of thirty pounds to be paid over their lifetime. While many of the original Tudor inns were either demolished or replaced by various retail establishments, the Saracen’s Head continued to thrive and proved itself a profitable establishment. From the late 18th century, inns increasingly provided an important social space in the heart of town. The Saracen’s Head, as one of the largest inns on the high street, was a popular venue of choice and hosted a whole range of activities, clubs and events. 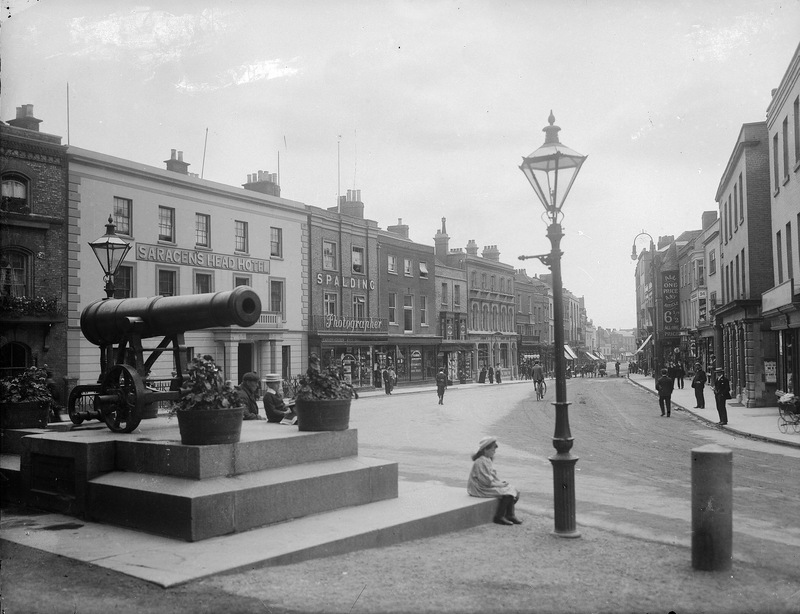 Photograph taken from the north end of the High Street in the late 19th century. The Saracen’s Head can be seen just behind the Sebastopol Cannon which has since been moved to Oaklands Park. The Chelmsford Beefsteak Club met once a month at the inn where they had their own cellar reserved. Every summer the inn accommodated the Flowerists feast and prior to the construction of the Shire Hall in 1791, the Saracen’s Head hosted various concerts and balls. 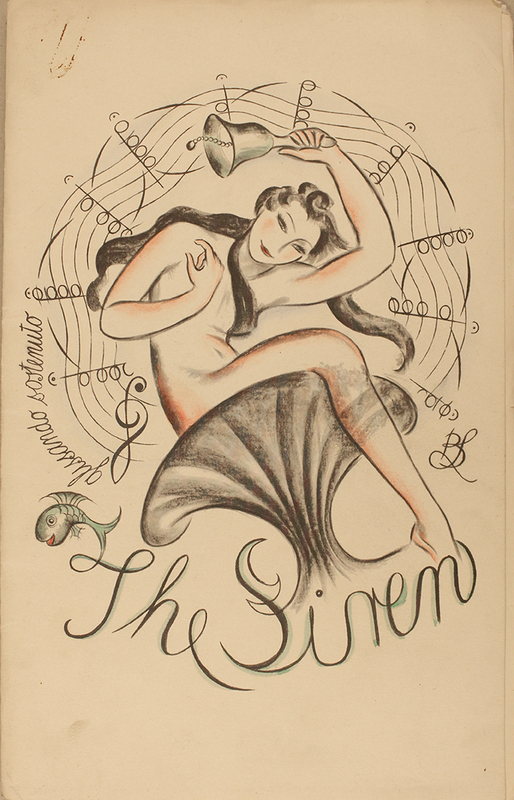 Advertisements were frequently placed in local newspapers announcing the events which attracted visitors from across the county. 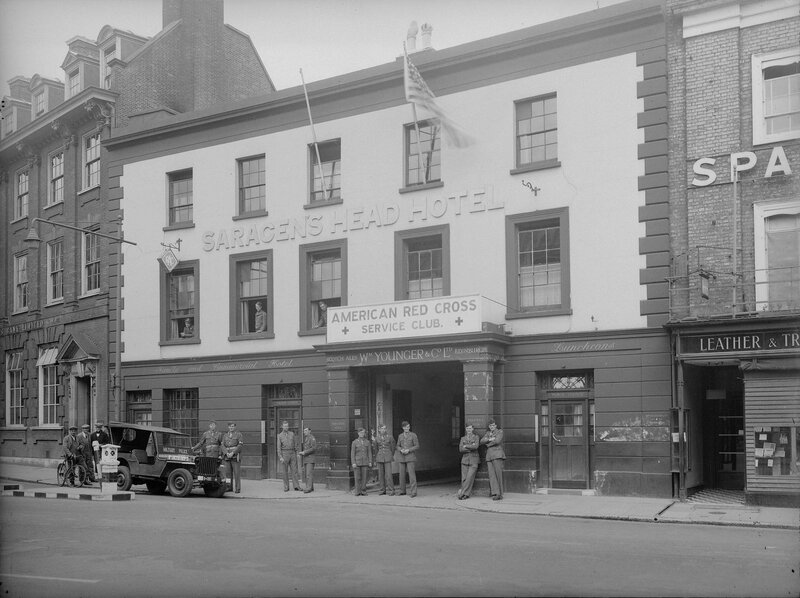 During the Second World War, the Saracen’s Head opened its doors to the American Red Cross. Known locally as the ‘American Club’, the hostel provided sleeping accommodation for up to 30 men as well as providing meals for up to 300 soldiers per day. The hostel was kept separate from the Saracen Head’s main bars and even had its own entrance. The Chelmsford Chronicle hastened to reassure residents that the opening of the American Club ‘would in no way affect the bars, which will be carried on as usual’. The American officers were a visible and constant presence on the High Street during the war years. The photograph below captured in 1942 depicts numerous American officers, dressed in full uniform, posing outside the Saracen’s Head. A large sign reading ‘American Red Cross Service Club’ dominates the main entrance, while an American flag flutters overhead. 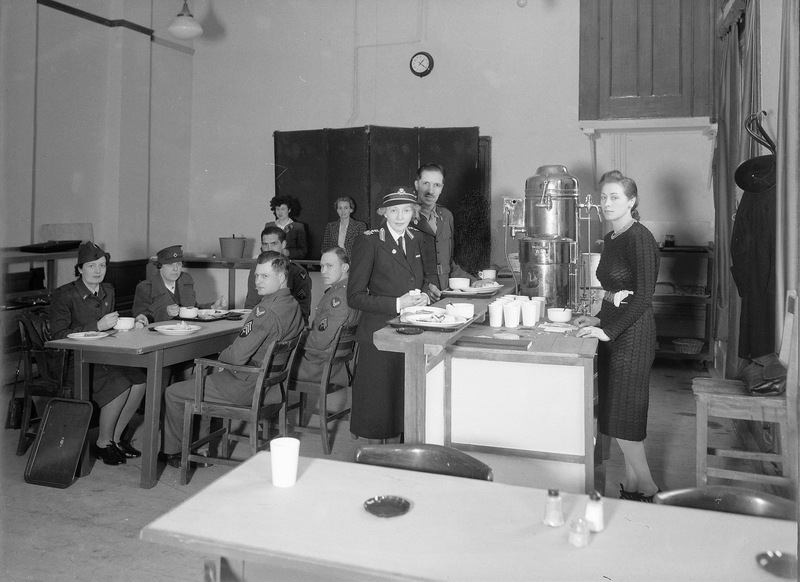 The hostel also acted as an important social hub where American soldiers could relax and mix with the locals. 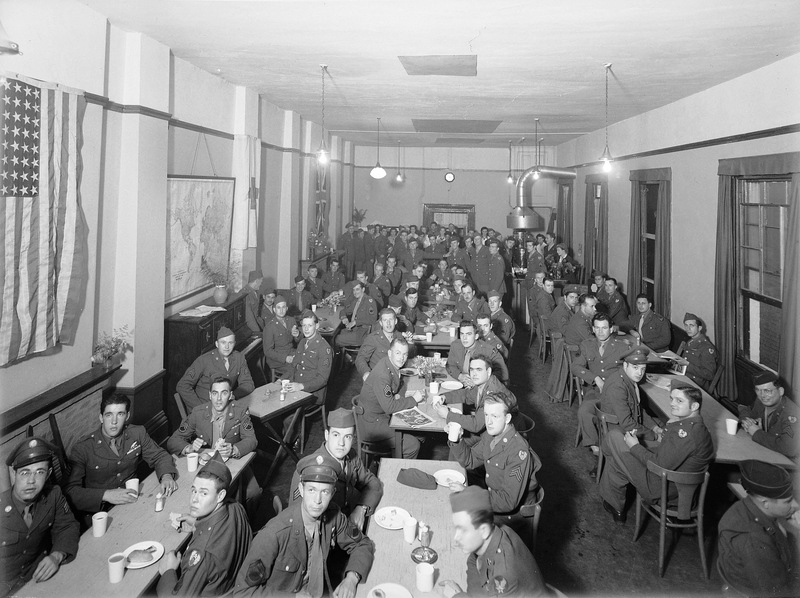 In the photograph below numerous American officers can be seen relaxing inside the hostel, clearly enjoying the comfortable and even homely interiors. The ‘American Club’ came to represent a period of harmonious relations between Britain and the US. 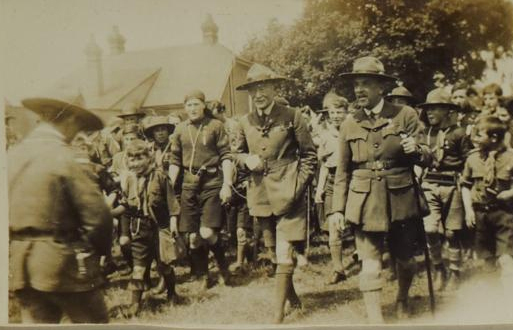 Over 150 young women in Chelmsford volunteered to work at the club and countless Chelmsford residents interacted with the American soldiers socially on a daily basis. 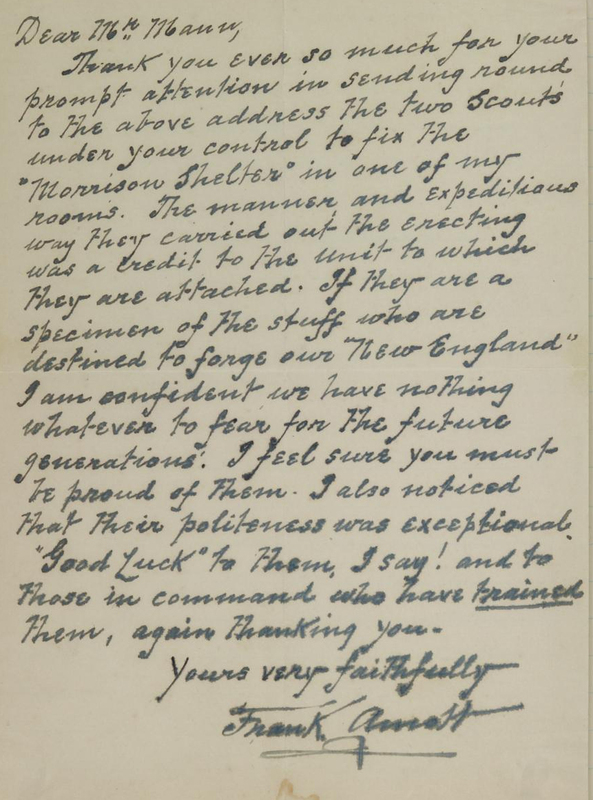 Such was the legacy of these relations, both in Chelmsford and Essex as a whole, that the Essex Anglo-American Goodwill Association was created to foster continued relations and perhaps engage with Americans who were sent here as soldiers, but who might one day return as tourists. By the end of July 1945, the ‘American Club’ closed, although the Saracen’s Head did not officially resume pre-war functionality until 1948. In January of that year the Essex Newsman warmly declared ‘Welcome back the Saracen’s Head!’ noting that after the long period of war service the hotel was at last able to come into its own again. Many inns have disappeared from the High Street since the creation of the Walker map in 1591, but the Saracen’s Head continues to operate under the same name and from the same site as in the 16th century. This extraordinary achievement is a testament to the popularity of the premises in question. Nonetheless, the nature of the business has changed a great deal over time. Originally a resting point for weary travellers, the Saracen’s Head increasingly became a social establishment, providing an entertaining venue for visitors and residents alike. 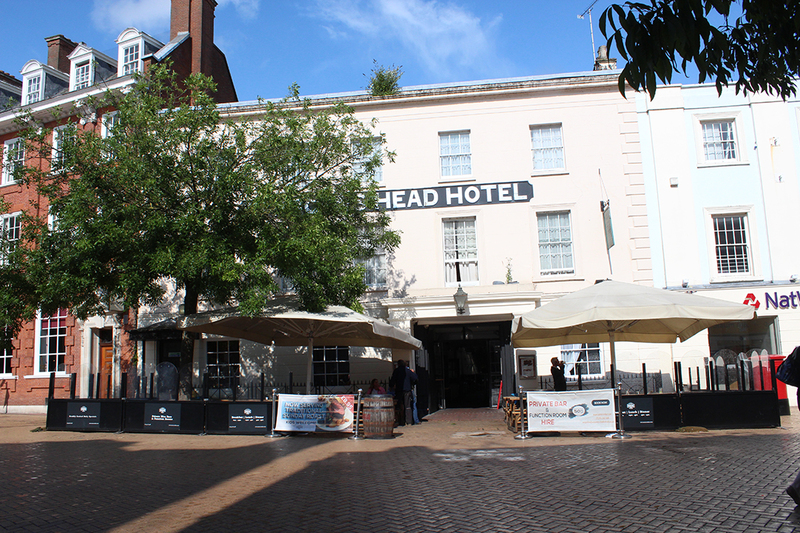 Today the Saracen’s Head is a popular social destination for a whole new generation of Chelmsford residents. If you would like to find out more about this ancient building, try searching for the Saracen’s Head on Seax. Alternatively see Hilda Grieves’s detailed history of Chelmsford The Sleepers and The Shadows in the ERO Library. Seventy years ago the skies above Essex would have been filled daily with the aircraft both of our own Royal Air Force but to a much greater extent by the massed forces of the Eighth and Ninth United States Army Air Forces. By April 1944 there were eight Bomb Groups of Ninth Air Force Martin B-26 Marauder medium bombers and three groups of Douglas A-20 Havoc light bombers in Essex, totalling over 700 aircraft with many thousands of personnel and their supporting units. These aircraft and their crews were tasked with ‘softening up’ the German defences and associated transport infrastructure in Europe in order to facilitate a successful invasion and liberation of occupied territory, something dreamed of, and planned for, since the dark days of June 1940. Some of these Bomb Groups had been in Essex since the summer of 1943, such as the 387th BG based at Chipping Ongar and the 322nd at Andrew’s Fields (Great Saling). 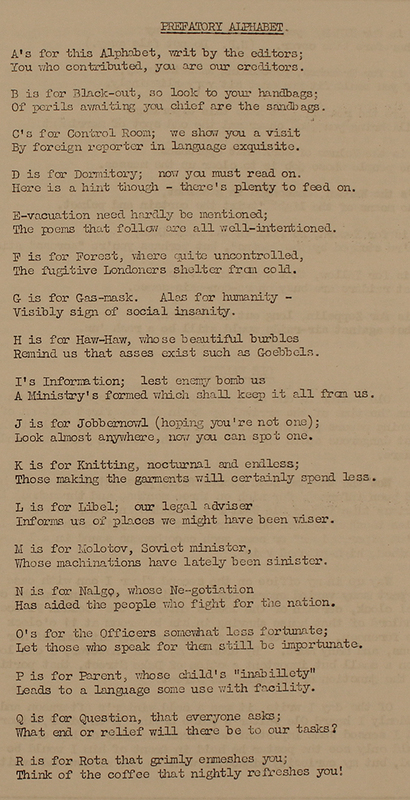 Seven groups were relative newcomers, only arriving ‘in theatre’ in 1944. One of the more recently arrived was the 394th Bomb Group with around 64 B-26s who were based at Boreham, flying their first mission on March 23rd when 36 aircraft set out to bomb a Luftwaffe airfield at Beaumont-le-Roger in France. A B-26 Marauder of the 394th Bomb Group (at Boreham?) This was taken sometime after D-Day as evidenced by the worn black and white invasion stripes which can be seen under the wings. Note what appears to be aircraft’s Auxiliary Power Unit under the port wing. This was used to ‘power-up’ the aircraft before main engine ignition. (A10950 Box 1 ‘Book 1’). Bombing raids were run as regularly as the English weather allowed, with as little let-up as possible, and with sometimes two raids a day. With the date for D-Day set there could be no relaxation for the planners in endeavouring to give the assault troops as much assistance as possible before they hit the beaches. This meant that the Allies’ combined air forces had to keep on pounding away whenever they could. The 394th was tasked with carrying out one such raid on this day 70 years ago. Their target for what would be their 53rd mission since arriving at Boreham was a bridge in Rouen (J.G Ziegler, Bridge Busters: the story of the 394th Bomb Group (Phoenix, Arizona, 1993), p.38.) This was to be the 10th mission in the last eight days, such was the intensity of the air campaign to date and with only a week to go for the planned launch of D-Day on the 5th June. One of the 36 Marauders that was designated to fly the mission that morning was being piloted by Lt John Connelly of the 587th Bomb Squadron. Connelly was 11th in line to take off (S.D. Bishop & J.A. Hey, Losses of the US 8th & 9th Air Forces: aircraft and men 1st April – 30th June 1944 (Bury St Edmunds, 2009), p.543). Taking off for a heavily loaded combat aircraft was always a crucial time but especially so for an over loaded twin-engine Marauder. Fat with fuel and armed with two 2,000lb bombs the loss of an engine on take-off could have devastating consequences, and was something which Connelly was about to experience first-hand. 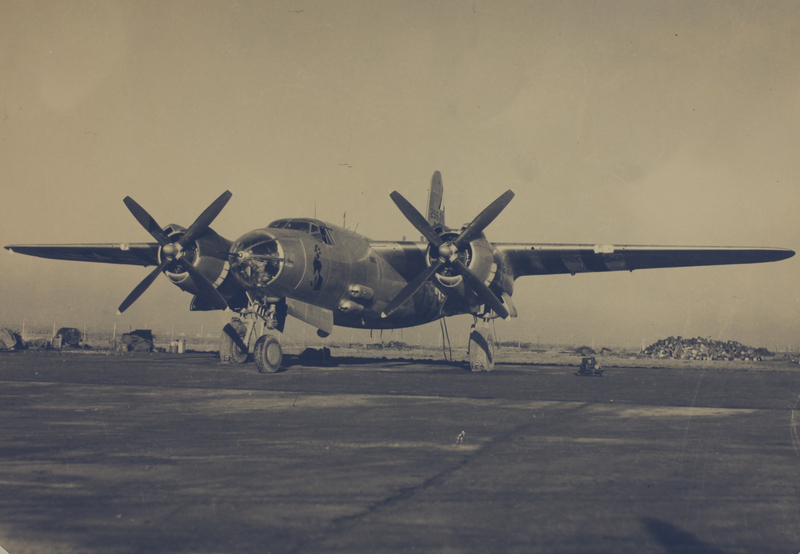 Lt Jack Havener of the 344th over at Stansted later recounted his experience of losing an engine after take-off: ‘We had just taken off…and were about halfway through the first turn to join up…when the right engine started sputtering and losing power. As we frantically clawed the…controls, trying to get some life back into the engine we realised we had a serious problem…By the time I had trimmed for single-engine operation we were still losing altitude, so I gave Sgt Skowski the order to pull the emergency bomb salvo lever…He immediately reached up and pulled the lever and greatly relieved the tension in the cockpit when he yelled out: ‘We got a haystack, Lieutenant!’ Havener and his crew were able to land back to their base – just (R.A. Freeman, B-26 Marauder at War (London, 1978), p.120). Connelly decided, however, against dumping his bomb load as he decided that opening the bomb-bay doors would cause too much drag and force his Marauder to crash. Trying to regain the runway he was not able to stay aloft and crashed short of it into one of the extensive orchards that once surrounded Boreham airfield. 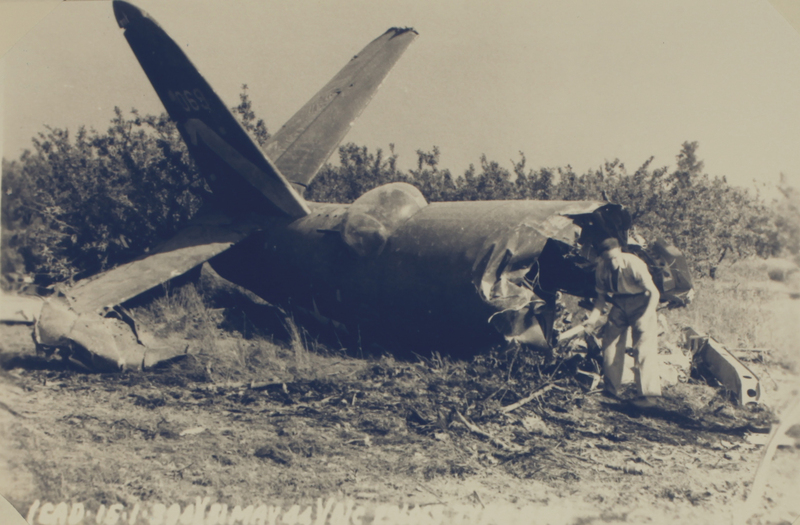 Of the six man crew all survived wounded but Connelly and his co-pilot, Flight Officer Preston Fulgham, received major injuries. 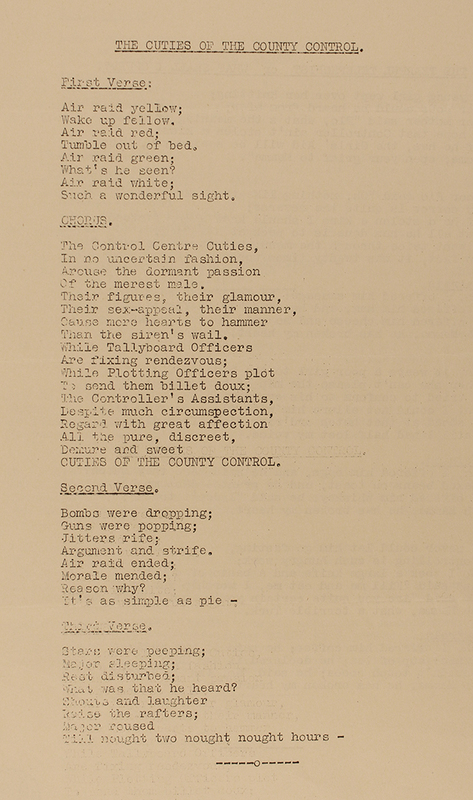 As with all things that fell out of the sky, be they enemy bombs or friendly aircraft, the local authority civil defence system sprang into action. 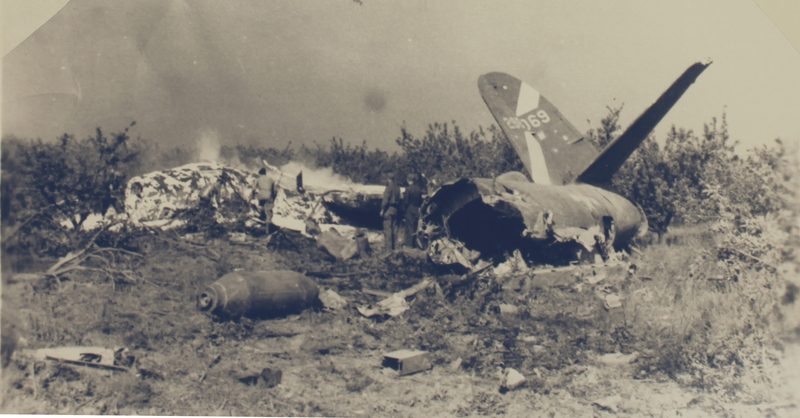 Even though this was an American aircraft and it fell within easy distance of all the US emergency services there were two very large bombs and several hundred gallons of high octane fuel that had been spilled over the Essex countryside. Around mid-day a message was reported to Essex County Control that ‘Waltham Rd. [was] closed from Russell Green to Little Waltham. 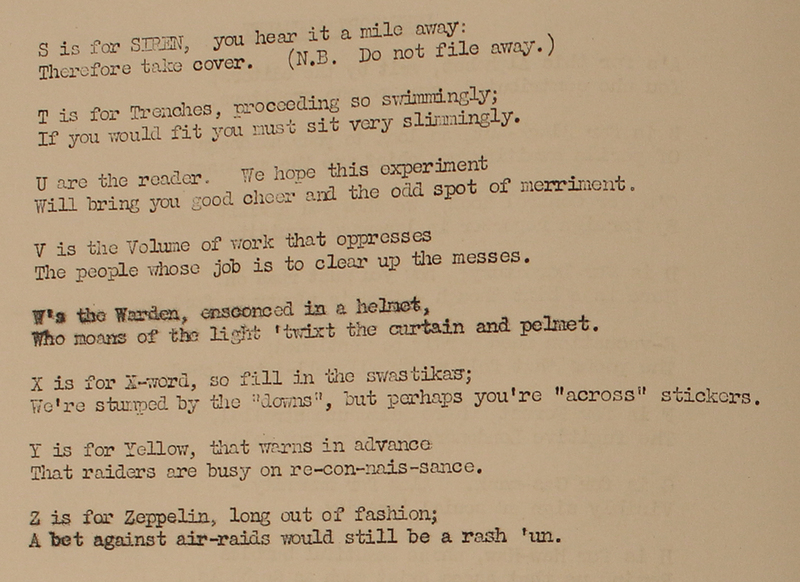 Houses in the immediate vicinity evacuated on the instruction from American Police’ (ERO, C/W 1/11/3). Shortly after 1pm the road was re-opened and residents allowed back to their properties. While all this was going on the raid that was launched earlier was carried on with – just one more day in a long war. Using the description I wondered if it might be possible to pinpoint the exact location of the crash. The orderly rows of fruit trees show up very well on aerial photos and Looking at am image held at ERO, taken immediately after the end of the war, there does appear to be a scar in the landscape (circled on map), so very close to the runways at Boreham that Connelly nearly made. Seventy years on, I wonder if anyone remembers this event and can confirm the crash site? Valentine’s Day provides the excuse for our February recording to focus on love and courtship. This month’s recording is an extract from an interview recorded in 1988 with Mrs Audrey Duddy (née Carver) who was born 1924 in Tottenham and died in 1991. During the Second World War she was evacuated, along with other pupils from Tottenham High School, to Saffron Walden. She later joined the Women’s Land Army and after the war went on to become a teacher, finishing her career as Head of Department at Saffron Walden County High School. 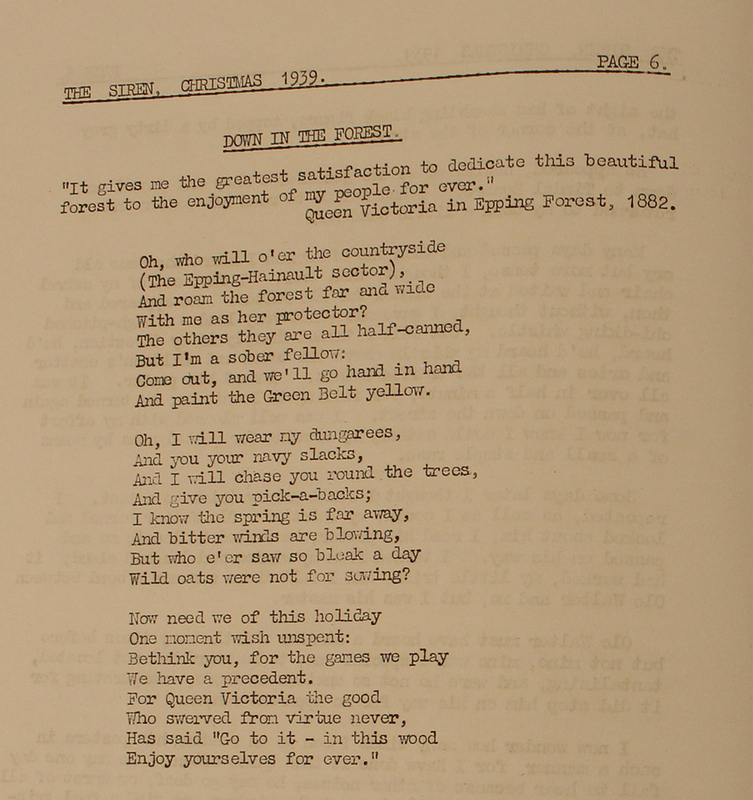 The extract we have selected for you to listen to below is the part of the interview where Mrs Duddy talks about going to dances as a young woman with a group of her Land Army colleagues, the interesting ways in which they negotiated their dealings with young men, and how this led to her meeting her husband.